NVCA Blog / Immigration Policy Isn’t Working for the Economy. Let’s Fix That. Policymakers are constantly looking for ways to boost economic growth. They tweak the tax code, write and rewrite regulations, and deploy a variety of other tools at their disposal. But one underutilized tool is immigration policy; specifically immigration policy that facilitates the creation of new companies, which research shows is the true growth engine of the economy. The best part is it won’t cost the federal government one red cent. Here are the facts: immigrants have founded iconic American companies like eBay, Google, Pfizer, and Tesla. More than half of all the country’s “unicorns” (privately held companies valued at more than $1 billion) had one or more immigrant founders, creating a collective value of $168 billion. An NVCA report showed that one-third of all venture-backed IPOs between 2006 and 2012 were companies that were founded or co-founded by immigrants. Another study found that immigrant entrepreneurs have founded or co-founded more than one-quarter of all science and technology firms in the U.S. The hits go on and on. Surely the U.S. embraces immigrants who create jobs for Americans, right? Given these impressive numbers, you’d think the United States makes it easy for talented foreign-born entrepreneurs to launch a new company here. But you’d be wrong. The reality is there is no dedicated visa category for immigrant entrepreneurs. This means these job creators must use other means to gain immigration status to start a new company in the U.S. Visa categories like the E-B5 investor visa and E-2 visas are wholly inadequate for company founders. Often, an immigrant who wants to start a new enterprise will come to the U.S. on an H-1B visa and work at a larger company. Because the H-1B visa is tied the employer, the immigrant often toils away for several years before earning a green card that allows her to pursue entrepreneurship. Take the case of Jyoti Bansal who sold AppDynamics to Cisco for $3.7 billion last year and went on to found Unusual Ventures. According to Jyoti, he came to the U.S. in 2000 but “waited 7 years for my employment-based green card…I wanted to leave my job and start a new company but couldn’t.” The story ended well for Jyoti—though arguably the country would be far better off if he were able to found AppDynamics 7 years earlier. But Jyoti said he has “friends who became frustrated with the uncertainty and after years of waiting they finally left the United States.” That is economic waste and it can’t be tolerated in a time when capital is more available worldwide than it ever has been before. We need a reliable instrument for attracting the world’s best entrepreneurs to the United States. There are two ways to do this, and both are strongly supported by NVCA. The first is by creating a startup visa, a new visa category specifically for immigrant entrepreneurs. This would mean top-flight entrepreneurs could launch a startup immediately and not need to wait like Jyoti Bansal. There’s good and bad news when it comes to this proposal. Always good news first: on January 31, the bipartisan Startup Act was re-introduced by Senators Moran (R-KS), Warner (D-VA), Blunt (R-MO), and Klobuchar (D-MN). We love the Startup Act for a variety of reasons, but a big reason why is it creates up to 75,000 startup visas for immigrant entrepreneurs that raise capital from VCs or other investors and create American jobs. 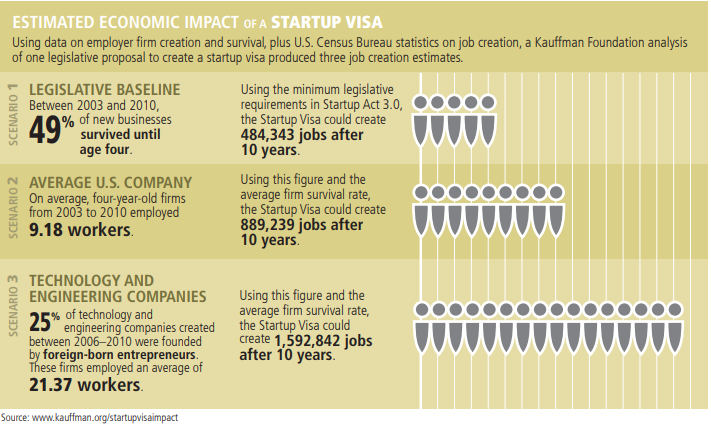 By tying qualification to job creation, the startup visa is resoundingly a net job creator. The Startup Act also creates a common-sense STEM visa so 50,000 U.S.-educated foreign students, who graduate with a master’s or Ph.D. in STEM fields can receive a green card and stay in this country where their talent and ideas can fuel growth and create American jobs. So what’s the bad news? The startup visa concept has been around for quite awhile and has seen strong VC proponents, like Brad Feld at Foundry Group. In fact, a startup visa was included in the 2013 comprehensive immigration legislation that passed the Senate. The challenge continues to be that legislating a startup visa is tied to the larger immigration reform debate, which appears intractable even to optimists like myself. However, bipartisan support for the startup visa is important because one day the political stars will align on immigration reform and because of that support a startup visa should be included in the legislative package yet again. This is why we’re grateful for the leadership of Senators Moran, Warner, Blunt, and Klobuchar. Surely there must be something we can do rather than wait for a big immigration package to bubble up. Yes, there is, which brings us to the second way to address the problem of how to attract and retain top entrepreneurs. Toward the end of the Obama Administration, it became apparent comprehensive immigration reform was not moving. 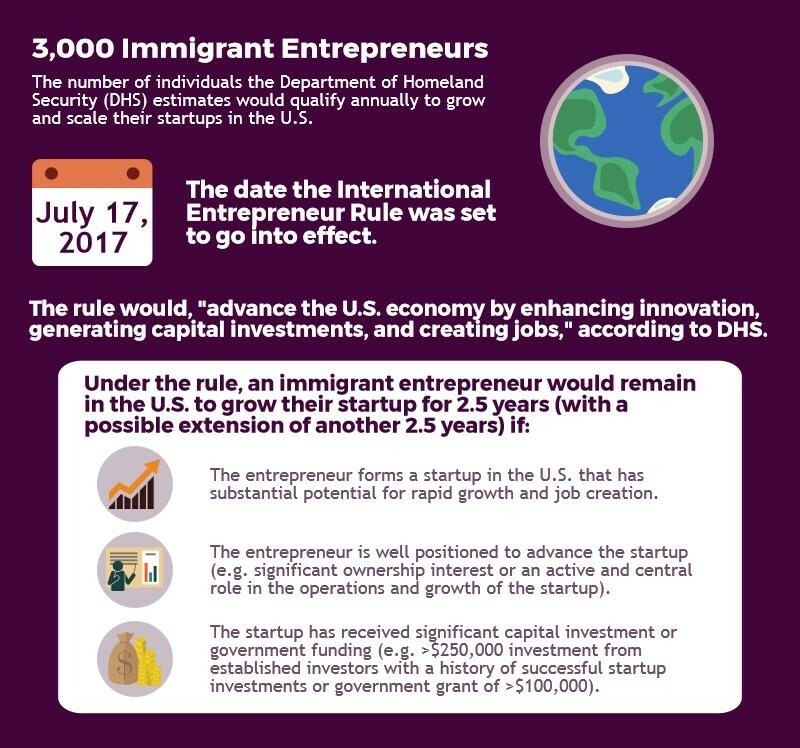 Since new visa categories can only be created through legislation, the administration looked to existing legal authority that would allow foreign-born founders to launch new companies in the U.S. That led to creation of the International Entrepreneur Rule, which operates like a startup visa, even though it is not technically a visa (it relies on so-called “parole” authority under current law). The NVCA-supported International Entrepreneur Rule (IER) has been met with stiff resistance from the Trump Administration. We lobbied hard for President Trump to embrace the rule as the job-creation measure that it is, even building support for IER in emerging ecosystems in America’s heartland. Sadly, it has been caught up in the administration’s broader immigration crackdown. The Department of Homeland Security tried to kill it in July 2017, which caused NVCA to file its first lawsuit against the government in the history of our organization. We won, with a federal court ruling the administration skirted well-established administrative procedures. Rather than back down, in May 2018, the Trump Administration tried to end IER again through a different mechanism. NVCA rallied our allies and submitted comments demonstrating why more immigrant entrepreneurs are what our country needs to bring dynamism to the economy, why IER is a great tool to achieve that end, and why the administration’s second attempt to end IER is just as illegal as the first one. That brings us to the current day. The Trump Administration hasn’t moved forward with ending IER since mid-2018. What comes next is up in the air, but whatever it is you can count on us to lead the fight. Frustratingly, as our country has dithered, countries like Canada, France, Germany, Singapore, and the United Kingdom have instituted immigration programs to bring entrepreneurs to their shores. That is creating impressive startup ecosystems the world over and helps explain why the U.S was home to 54% of global venture capital last year when we boasted approximately 95% just twenty years earlier. But let’s end on a positive note: immigrant entrepreneurs have overcome incredible hurdles to create American companies, and I am hopeful that one of those hurdles—U.S. immigration policy—will be knocked down soon. 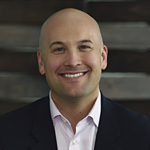 Read NVCA’s letter of support for the Startup Act here. For questions on NVCA’s work on immigration policy, please reach out to Jeff Farrah at jfarrah@nvca.org.